There are just a few days until weed is legal in Michigan. 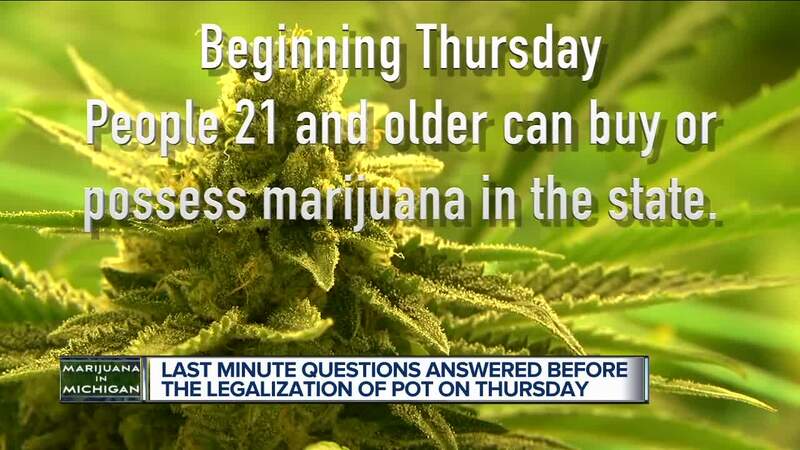 However, there are still some questions about the legalization. On December 6, Michigan will become the first state in the Midwest to legalize recreational marijuana. Retail shops aren't expected to open until sometime in 2020, but beginning Thursday, people 21 and older can buy or possess marijuana in the state. There are just a few days until weed is legal in Michigan. 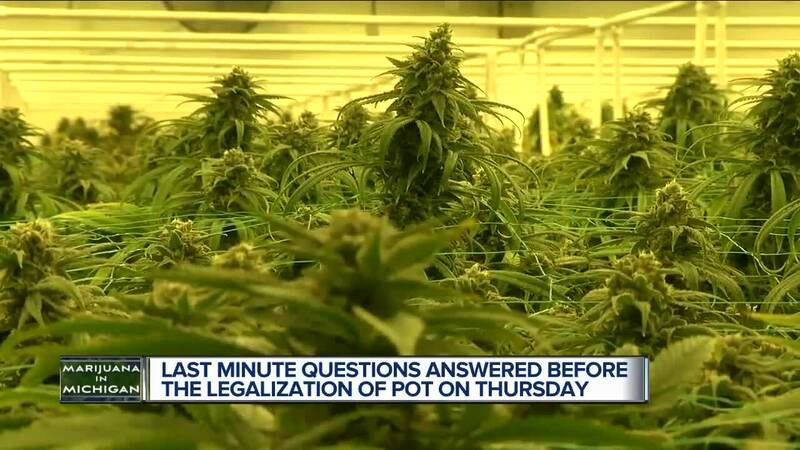 However, there are still some questions about the legalization. On December 6, Michigan will become the first state in the Midwest to legalize recreational marijuana. Retail shops aren't expected to open until sometime in 2020, but beginning Thursday, people 21 and older can buy or possess marijuana in the state. You can have up to 12 plants inside your home, and a total of 10 oz. According to Barton Morris with the Cannabis Legal group, whatever you grow on those 12 plants is all yours. However, you need to keep anything over 2.5 ounces in your home locked up. So how do you get seeds if you’re thinking about growing plants? "Seeds are readily available. You can use the internet to do a search and find them pretty much anywhere," Grant Gamalski with Northern Lights Hydroponics and Garden Supply said. "Instagram is becoming a great resource for getting seeds. Breeders can sell directly from them to the end user, which cuts the seed bank out of the mix and saves the consumer some money," Gamalski said. Keep in mind attorney Barton Morris says it’s technically illegal to purchase seeds. As for business, Grant says they’ve seen an increase with the legalization date just days away. "We’re trying to up the consciousness of all humanity, as far as I’m concerned it’s a good thing," Gamalski said. Remember when marijuana officially becomes legal, you can’t smoke in public places. If you're caught, you could face a fine.